MAIDUGURI, Nigeria (AP) — The woman who led the global campaign to free Nigerian schoolgirls kidnapped by Boko Haram extremists said Thursday she was dropping out of the race for Nigeria’s presidency to form an opposition coalition ahead of next month’s election. 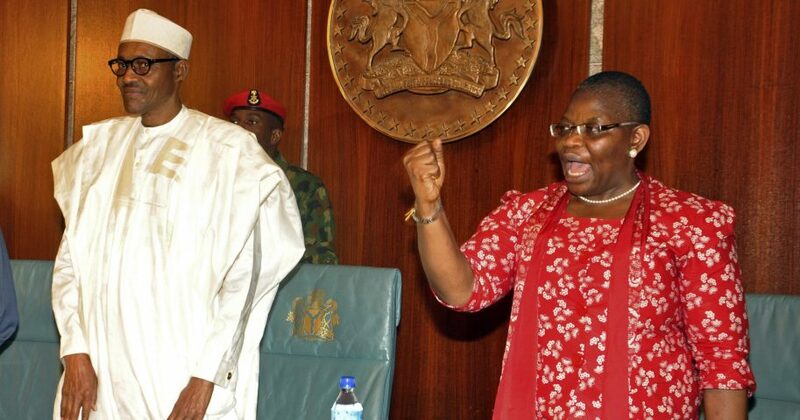 The 55-year-old Oby Ezekwesili had been the most prominent woman to seek the presidency in Nigeria, where politics, as in many African nations, have long been dominated by men. She said in a series of tweets that she planned to focus on building a “strong and viable” coalition to challenge the two main political parties before the Feb. 16 vote. A former World Bank vice president, Ezekwesili also co-founded Transparency International, one of the world’s leading organizations against corruption — a widespread problem in oil-rich Nigeria. The 76-year-old President Muhammadu Buhari, who promised to fight both Boko Haram and corruption when he took office in 2015, seeks a second term in next month’s election. The top challenger is veteran politician and 72-year-old former vice president Atiku Abubakar. The winner will lead Africa’s biggest crude oil producer and most populous country. A major challenge for Ezekwesili’s candidacy was the attitude toward female candidates in Nigeria, where many say women are fit only for the kitchen. Buhari himself once asserted he had “superior knowledge” over his wife and that she belonged to his kitchen, his living room and the “other room.” He made the comments while standing next to an unimpressed-looking German Chancellor Angela Merkel, one of the world’s most powerful women. Ezekwesili had hoped to appeal to Nigeria’s booming youth population as many in the West African powerhouse say politics has been dominated by the older generation for too long. She also had hoped to appeal to women who want to see more female participation in the country’s governance.